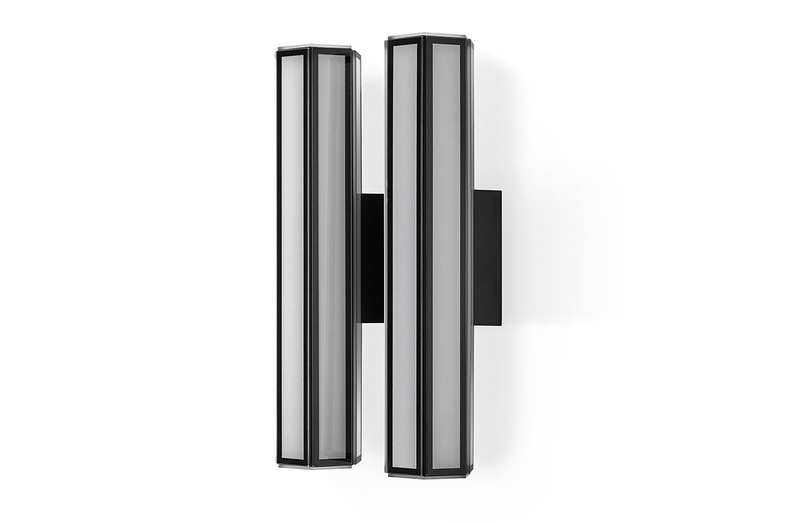 Metal sconce with hexagon structure in black lacquered metal and extra-light screen printed glass in black and white. 30W LED lamping. Please note: 2 sconces are shown side-by-side in featured photos. Please see ADDITIONAL SPECS for detailed sketch.